Almost two years ago workers from Burgerville went public with the Burgerville Workers Union. Their aim was to pull workers out of poverty, to gain a voice in their workplace, and to be respected on the job. While they have made some gains, Bugerville still refuses to recognize the Union, and has fired Union Workers. In response, the Burgersville Workers Union is asking the Pacific Northwest to join with them and pledge to boycott Burgerville until the company does right by the workers and signs a contract with the union. Watch this short video to hear more from the Burgerville Workers Union. The Alberta Co-op Board and Collective Management have both endorsed the Burgerville Boycott. We invite you to do the same by filling out a boycott pledge in at the co-op or online and voicing your support of the Burgerville Workers Union. There are numerous other ways you can show your support beyond a pledge card. Show up to actions, volunteer with the union, or support workers materially through donating to BVWU’s Strike & Hardship Fund. Each contribution and act of solidarity helps support workers as they fight for better jobs and better lives. The BVWU want to improve their workplace. Burgerville refuses to negotiate, and has fired union workers in response the organizing efforts. 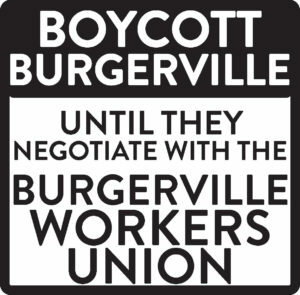 The BVWU feels like a community boycott is the next escalation to try to get Burgerville to the table. Why is the co-op boycotting a fast food place? Burgerville Workers reached out to community groups including co-ops for support. Democracy, Equity, and Solidarity are some core co-op values. Why Burgerville, and not McDonalds? 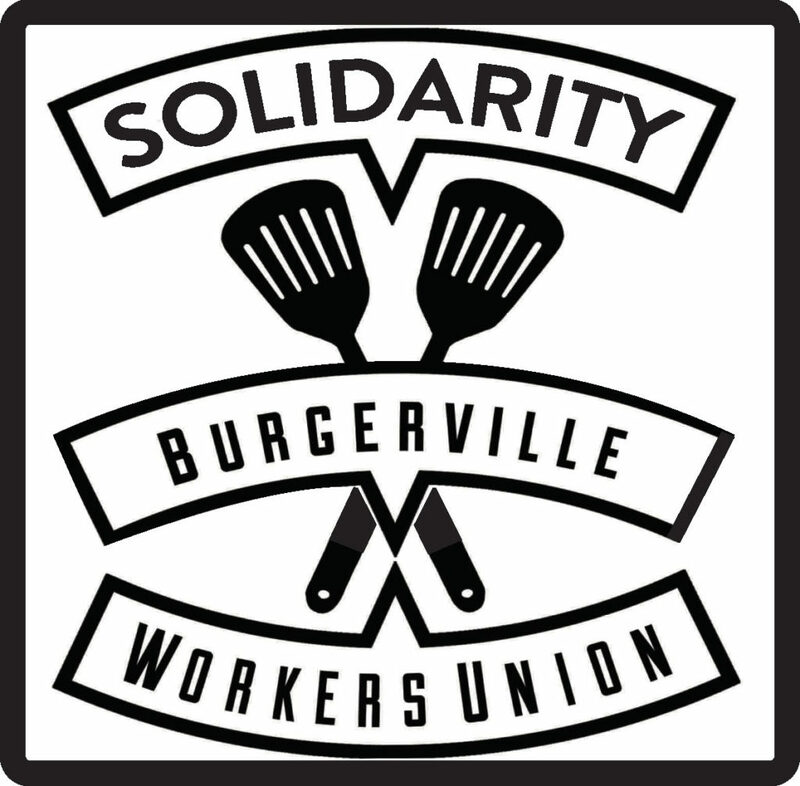 Burgerville workers are currently organizing, and reached out to us. If Mcdonalds workers reached out to us we would consider their proposal for support. Fast Food work is easy, why should workers get paid more than minimum wage? Burgerville Worker, Deborah Olson, has been working at Burgerville for six years. Prior to this, Olson cleaned houses and served in the United States Marine Corps. Compared to her past jobs, Burgerville“is the hardest job and pays the least.” It’s not an easy job. No matter what work, no one should have to live in poverty. But isn’t it just teenagers working these job? You’d be surprised. Fast food workers are mothers, fathers, students, grandparents. Young and Old. And again, no one should be making poverty wages.